Victoria I. Karausky, 90, of Vandling died Friday at the Forest City Nursing Center. She was the widow of Dave Karausky, who died in 1991. Born in Mayfield on Feb. 17, 1928, daughter of the late Frank and Anna Laskowski Prybicien, Victoria was educated in the Mayfield School system. She resided most of her life in Simpson and moved to Vandling with her son, David and daughter –in-law Debbie after her husband’s passing. Victoria was a member of the St. Rose Parish in Carbondale and was a member of Sacred Heart of Jesus Church in Mayfield until its closure. Victoria worked at Penn Children’s Dress Factory in Mayfield and was Assistant Manager of Adam’s Restaurant in Simpson prior to her retirement. Victoria enjoyed spending her free time with her husband Dave prior to his passing, taking long rides in the country, and visiting with family. She cherished spending time with her grandchildren Joshua and Nicole and enjoyed visits from her Great Granddaughter Iyla. Although her later years confined her to her home she always kept active around the house, had a positive attitude and a great sense of humor. Her sense of humor was passed onto her son David along with her willingness to speak her mind, so those of you who know him… blame his mother! She could always be found watching church services from Scranton on TV and saying her Rosary. One of her big joys was playing the lottery each week. Scratch Offs were her favorite. She never hit it big but every time she won, even five dollars, it was like she won a million! Surviving are a son David Karausky and wife Debbie, Vandling, a grandson Joshua Karausky and wife Amber and their daughter Iyla, Hawley, PA; a granddaughter Nicole, Vandling,; and a brother, Frank Prybicien and wife, Elizabeth, Mayfield. Victoria was preceded in death by three brothers, Martin, Carl and Thomas; four sisters, Veronica Jarusik, Theresa Trusky, Ann Louise Valentine, Phyllis Gursky and Patricia Doolittle along with 3 infant siblings Joseph, Helen and Caroline. 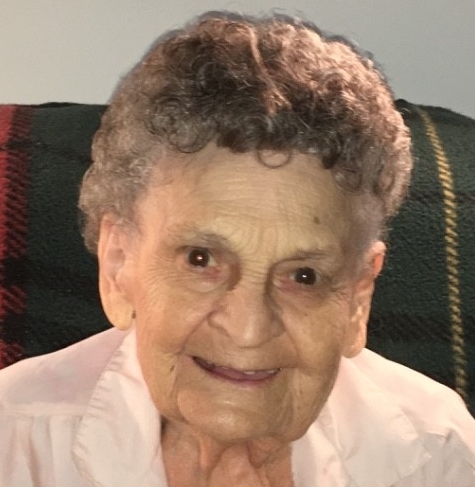 The family would like to thank all that knew Victoria, spent time with Victoria and put a smile on Victoria’s face especially the staff at the Forest City Nursing Home who made her last days as comforting as possible. The funeral will be Tuesday at 9:30 a.m. in St. Rose of Lima Church, 6 North Church St., Carbondale. Friends and family may call at the Joseph W. Scotchlas Funeral Home, Inc., 621 Main St. Simpson, Pa 18407 Monday 6:00-8:00 p.m. Interment will be in St. Anthony’s Cemetery Forest City.